I can’t write every single reaction from people when I presented my research about Ajumma in one conference last time. Yes, I was pretty shock to get those reactions. They were Korean middle-aged women. They’re all working moms and I don’t want to specify their personal backgrounds any more. When I wrote about Yeohyeom (misogyny in some way) before, I thought there is ‘miso-ajumma‘ in Korea as well. Misogyny is combined by two words, miso+gyny so I just combined miso and ajumma which means dislike of ajummas. I know the people (not every one) are not happy about ajummas and people don’t want to be (or called as) ‘ajummas’ at the same time. 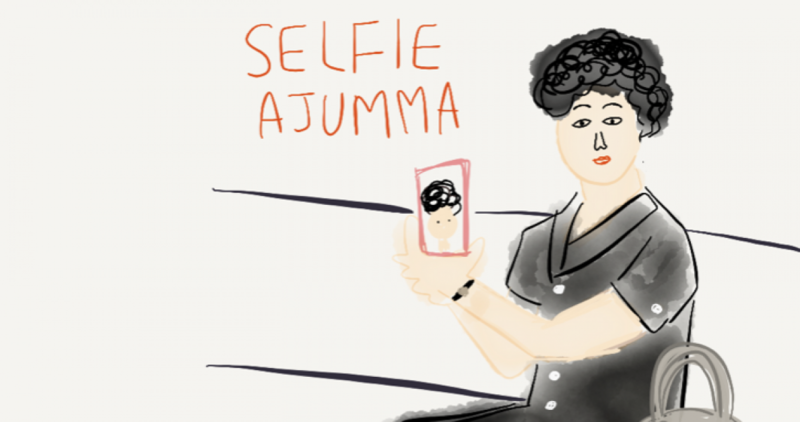 The title of ajumma is for middle-aged women in Korea. I already explained the origin of the word ajumma, there’s no such negative meanings are included with the word ajumma. One of the women from the conference argued that using the word ajumma is only for the maid women or women who served in the restaurants. And another woman also told me that the word ajummas should be used only for older women who are low-educated, full-time housewives with ajummarous fashion style. WHAT????? I found miso-ajumma from this experience. Why did they think ‘middle-aged women’ are better than ‘ajummas’? What kind of standards do they base their conclusion on? Like an example of Kim Yeo-sa (Mrs. Kim), some or many of ajummas are the target of hatred only because they are ajummas. (I don’t mean that ‘Kim Yeo-sa’ have no problem at all, you should read the related article about Kim Yeo-sa (pink coloured linked one just above)). It was very difficult to keep writing this post about misoajumma or misogyny. Maybe it is still complicated to understand what misogyny is in contemporary society in Korea. At the same time, it is very careful to write about this issue in Korea at this time. So it takes so long to finish this post and I will write more about this later for sure. Posted on 1 Jun 2016 1 Jun 2016 by moon ajummaPosted in Smart Ajumma (English)Tagged ajumma, 김여사, 아줌마, 아줌마가 어때서, 아줌마혐오, 아줌마화이팅, Kim yeo sa, Korean women, misoajumma, misogyny.